(TibetanReview.net, Dec09, 2016) – The Dalai Lama is visiting New Delhi, Bangaluru and the Tibetan settlement in Mundgod in Karnataka state to deliver public talks, give religious teachings, take part in conferences and preside over ceremonies, including the awarding, for the first time, of the Geshema Tibetan Buddhist academic degree to nuns. The historic awarding of the Geshema Degree for whose institution the exiled spiritual leader of Tibet has played a leading role, will take place on Dec 22 in the Mundgod Tibetan Settlement. Twenty nuns who have completed the 17-year course and passed a four-year exam will receive the degree. The day before, the Dalai Lama will attend celebrations marking the 600th founding anniversary of the Drepung Monastery and present Geshe Lharampa degrees to more than 700 monks. Earlier, arriving in New Delhi on Dec 9, the Dalai Lama will give a public talk at a Tibetan Festival organised by the city-based Tibet House and the Men-Tsee-Khang in the Thyagaraj stadium. On Dec 11, he will give a public talk on Compassion and Secular Ethics at an event organized by the Tushita Mahayana Meditation Centre in Ashoka Hotel. 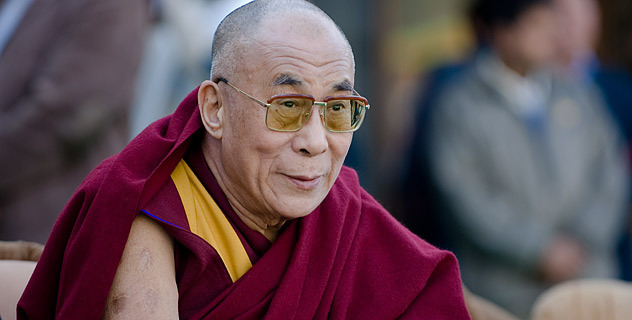 The Dalai Lama will then fly to Bangaluru where he will inaugurate a new academic library block at the Dalai Lama Institute for Higher Studies. He will next travel to Mungdgod to participate in a conference with Tibetan monastic scholars and renowned scientists on ‘Consciousness and origins of life’ at the Drepung Loseling Monastery over Dec 18-20. Flying back to New Delhi, the Dalai Lama will, over Dec 25-27, give teaching on Shantideva’s A guide to Bodhisattva’s Way of Life requested by followers from Russia in the Leela Ambience Convention Hotel.